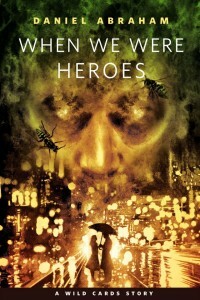 For those of you jonesing for your Wild Cards fix, Daniel Abraham's brand new never-before-published "When We Were Heroes" is now available on Tor.com. Cover art by John Picacio, Hugo winner and all-around great artist. Then you can run right out and buy every Wild Cards book you can get your hands on. Don't worry, we're making more. (Books and stories both). First sliding doors;now tractor beams!Scots scientists have boldly gone & created a light beam only previously seen on Star Trek. A real-life version of the "tractor beam" actually draws objects towards it,albeit microscopically.